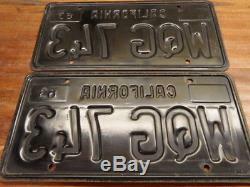 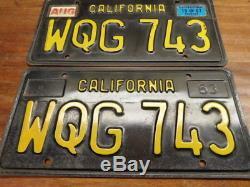 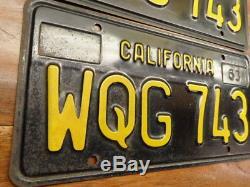 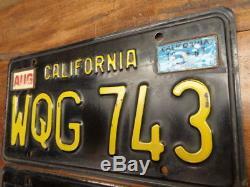 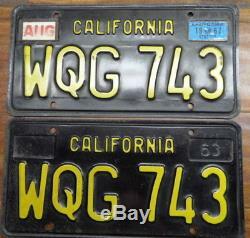 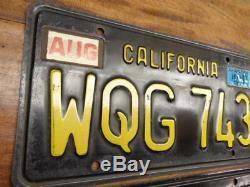 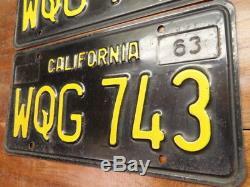 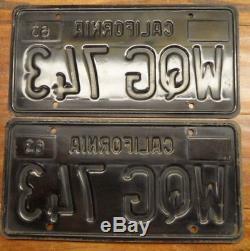 Here's a VERY GOOD, ORIGINAL pair of 1963 base, CLASSIC BLACK California license plates with 1967 registration sticker, (The plate frames are not included in this sale). 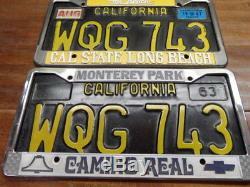 Proud ALPCA member # 11697. 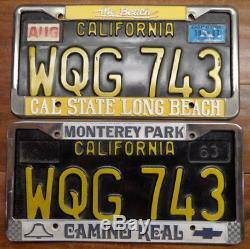 The item "VERY GOOD PAIR 1963 1967 1969 CALIFORNIA LICENSE PLATES WQG 743 DMV CLEAR" is in sale since Monday, November 12, 2018. 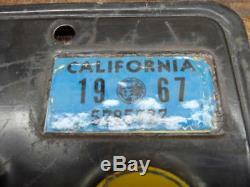 This item is in the category "Collectibles\Transportation\Automobilia\License Plates\US\ California".